NBC 6's Dan Krauth reports on the incident in which a Parkland survivor's house was the scene of a hoax. Police responded to the home of outspoken Parkland activist and school shooting survivor David Hogg after what officials say was a hoax phone call of a person inside with a gun. 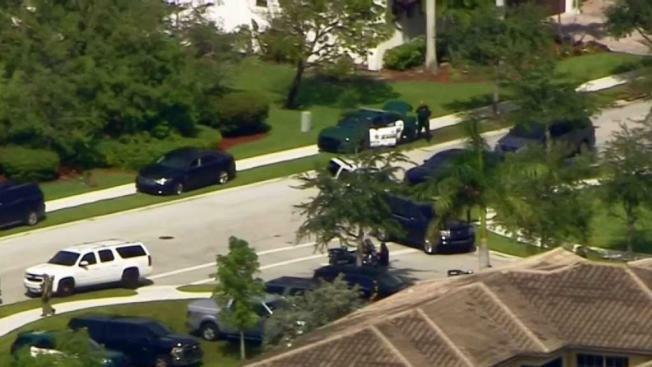 Chopper 6 was over the scene at the home shortly after 9 a.m.
Broward Sheriff's Office officials say no one was home at the time of the call, but SWAT units responded and searched the home and surrounding areas. A nearby elementary school was also placed on lockdown for over a hour before police cleared the area. Hogg, along with several other survivors of the Feb. 14 attack that killed 17 people, recently announced a summer bus tour aimed at registering young voters. The 75 stops in more than 20 states will also include each congressional district in Florida.